A major element of any ethnic festival is, of course, its community of artisans and merchants. At the Celtic Fling you may experience the craftsmanship from Scotland, Ireland, Wales, Australia, Canada, and all across the United States. 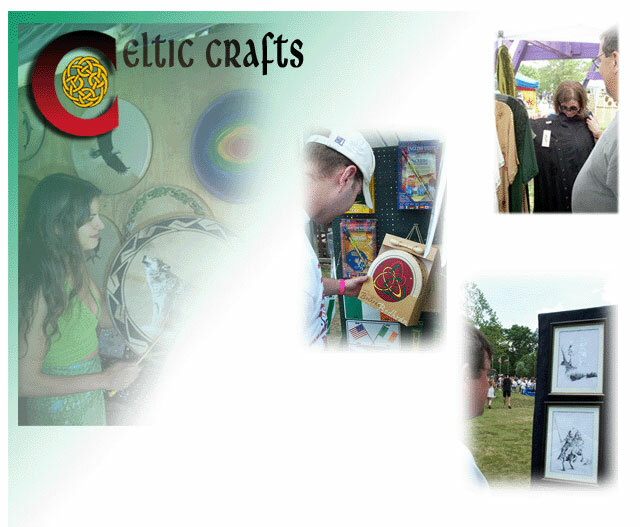 The Gulf Coast Celtic Fling is currently accepting applications from craft/merchandise vendors desiring to display and sell their wares. Click below to fill out and print the Craft/Merchandise Application for the 2005 Gulf Coast Celtic Fling & Highland Games.